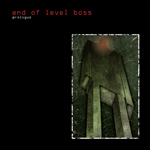 Sounds are being moulded, inverted, re-arranged… fusion of twisted-progressions and burned-out groove… The vision of the End of Level Boss is driven by a complete and all-consuming need for riffs. It has encaptured four humanoids to feed it or die. Under its grasp they themselves have fallen slave to the sounds and are sentenced to spend thier waking hours scavenging the earths for new riffs. Formed by former HANGNAIL guitarist/vocalist Heck Armstrong after returning from a successful tour of Europe and Japan with CATHEDRAL, End of Level Boss was created to explore the need for off-kilter riffs and mis-shapen timing. Dubbed by an enthusiastic listener as the missing link between VOIVOD´s sense for outstanding use of Metal structures and KYUSS´ sense for warm and blastin´ riffs, EOLB have managed to put themselves on the map of riff worshippers around the globe. The first release, an EP entitled “Experiment” was recorded 2003 in a deserted warehouse in Berlin. The pressing sold out quickly as the band played a series of dates supporting the likes of ORANGE GOBLIN, BUDGIE, THE ATOMIC BITCHWAX and THE HIDDEN HAND. 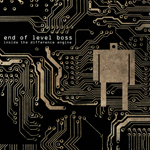 As 2004 died, End of Level Boss locked themselves into one of the last remaining full analogue studios in London and recorded their debut album “Prologue” for EXILE ON MAINSTREAM RECORDS. “Prologue” saw the light of day in September 2005 and was followed by extensive gigging in Europe and the UK. End of Level Boss played several European tours including appearances on the 2005 edition of the mighty STONED FROM THE UNDERGROUND FESTIVAL and the 2006 installment of the ROADBURN FESTIVAL. In September 2006 they laid to visitors at the SOUTH OF MAINSTREAM FESTIVAL, where they appeared as co-headliners alongside ORANGE GOBLIN, PLACE OF SKULLS and TODD. In early 2006 the band underwent some line up changes by replacing drummer Gareth Millsted with shell butchering machine Ben Hallett. Later in the year, guitarist James Ogawa (Ex-Hangnail) left the band to pursue personal interests and his desire to concentrate on his family. He was replaced by doom riffmeister extraordinare Roland Scriver of SLOTH (Rise Above Records), complimenting the EOLB riffs with his heavy, dirty, doomy guitar tones. After a quiet period End of Level Boss 2011 returned to the fray with their 3rd album “Eklectric”, released via Exile On Mainstream Records. 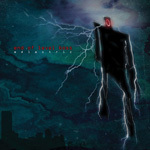 Continuing in their all-consuming search for twisted riffs, the London based band returned to the analogue domains of Earth Terminal Studios, England, (the same location used for their highly acclaimed 2007 release “Inside the Difference Engine”) during the dying days of 2010. Bringing in a completely new rhythm section (Peter Theobalds (ex Akercocke / Gonga) on bass, and Neil Grant (ex RAAR) on drums) the band have unleashed an angrier, dirtier sound, recorded live to tape across 4 short winter days. 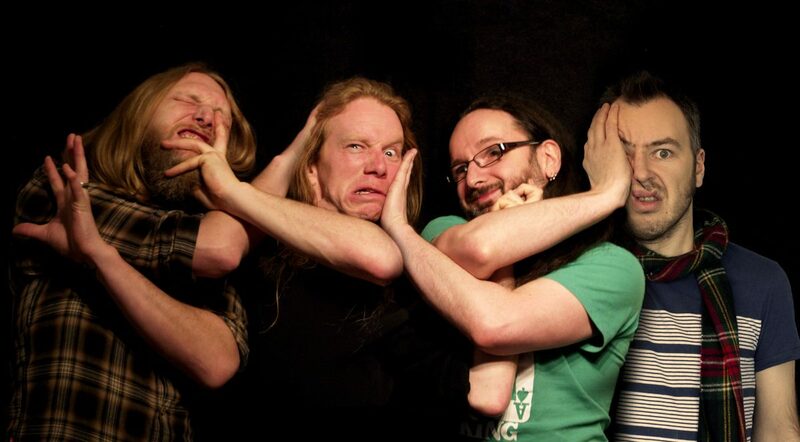 Having recruited ex Sloth guitarist Roland Scriver for lead guitar duties on their previous album, this third incarnation of EOLB have uncovered a mutual need to blend the familiar with the bizzare, resulting in the first End of Level Boss album to be written collectively, through intensive jam sessions, by the entire band. While End Of Level Boss are not active anymore (but might return to the fold eventually) please check out Harry Armstrongs new band NOISEPICKER!